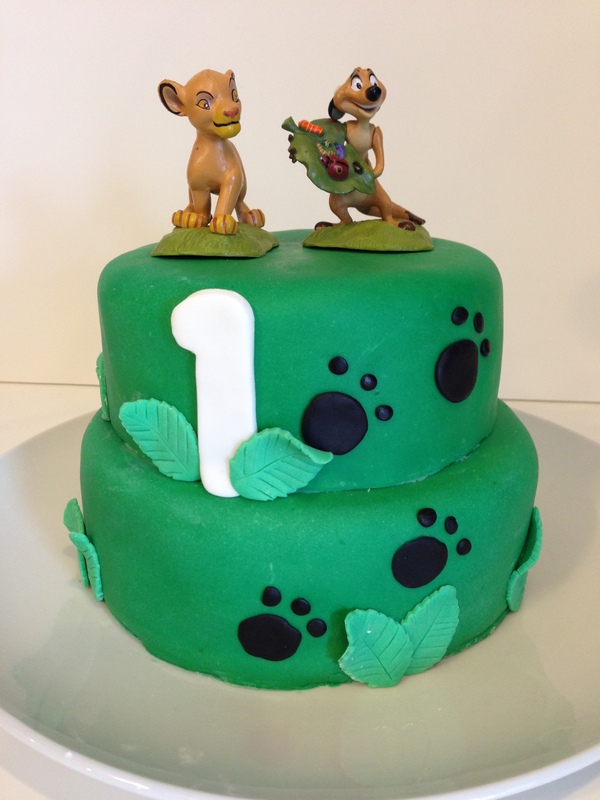 Courtney and I have both been so busy with work that we haven’t had a lot of chances to work on our cake decorating skills but one of Jaren’s friends asked if we would make a Lion King cake for their son’s first birthday so we whipped it together yesterday. It’s just a little one with a 6″ bottom layer and a 5″ top layer. We were a little pressed for time so Cort just ordered a Lion King play set from Amazon rather than trying to make a Simba out of fondant which I’m sure she could have, if we’d had the time. The cake is vanilla, frosting vanilla and the fondant is Duff’s from Michaels. Happy 1st Birthday Villy Jr!